The LPA81 crew pauses at Taylor Road in Sheboygan before proceeding south. 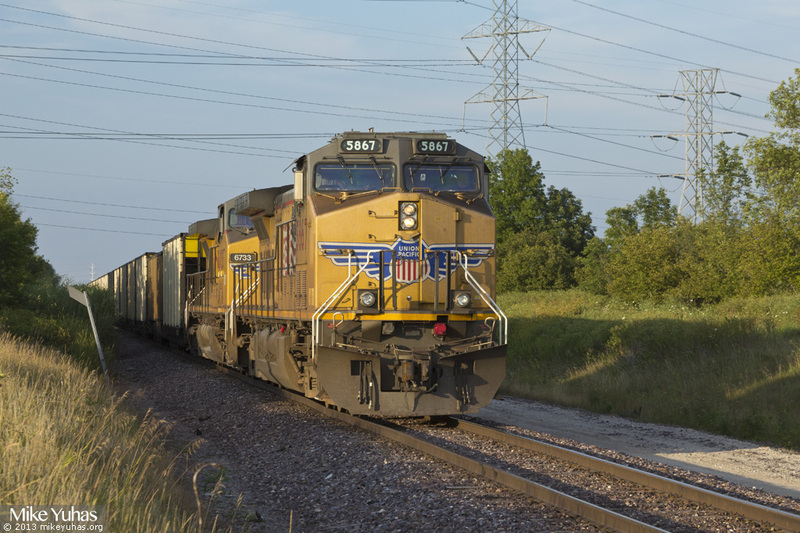 The crew's day consisted (so far) of a cab ride from Butler to Sheboygan, several hours assembling the train of empty IESX and LNTX hoppers, and a brake test. Now, the crew is waiting for a warrant to bring the empties home. They'll end up sitting here for about another hour, though, while a bridge ahead is inspected.